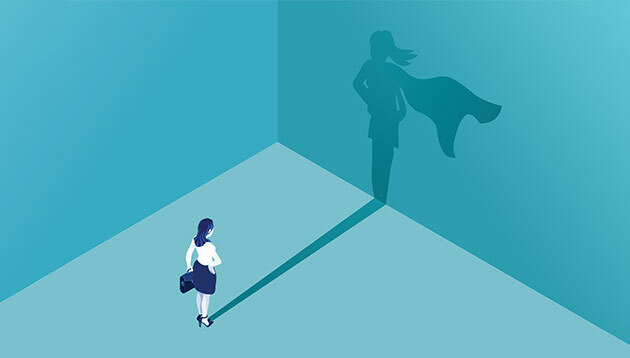 In this sixth part of our International Women’s Day series, eight women leaders recount the challenges they faced throughout their career, how they overcame them, and talk about the support system they think organisations can provide. After all, when it comes to the support women need in their career, who would know better than the women themselves? The women in this part of the series come from multinationals of various industries including Arrow, Citi, FrieslandCampina, Keystone Cable, Marina Bay Sands, Mondelēz, Ninja Van, and Takeda Pharmaceuticals. I had experiences working in both HR business consulting and in-house HR, then gradually progressed into HR management and leadership roles at various multinational companies. What I love about my job the most is the constant stream of new opportunities in which I can connect, collaborate and help others to excel, and bring out their best performance and potential. A few years ago, I struggled with a career decision when I decided to take a less senior role, a pay cut and a reduced job scope so that I could spend more time with my son and my family. It took me time and energy to adapt and overcome my mental barriers. However, I later discovered that this was the right choice and a rewarding experience because I became more compassionate and empathetic; this shaped me into a better HR leader. Each individual has a distinct path. I always share about the importance of following their passion because this way they will become more self-motivated and passionate about what they do. This attitude bears much fruit in terms of their work quality and productivity, so they are more likely to become better, and more successful in their endeavours. Diversity and inclusion is an ongoing learning journey and the more we have these elements integrated in our talent development strategy and company culture, the more likely we are able to bring out the best in our workforce and help them to be their best. In addition to formal talent development programmes for female leaders, we regularly organise “Women Leaders Forum” through which female leaders share their success stories and career advices on how to balance work and life, female employees can participant and engage with senior female leaders and learn how to take charge of their career, be brave to pursue their dream and build their career in Arrow. Meggy is also the chair of WiT@SG and ‎is the co-lead for Citi Women Affinity in Singapore. I have always pursued roles that are interesting and challenging as I enjoy learning new things and getting out of my comfort zone. Fortunately, I have been blessed with good managers and leaders who have guided me and encouraged me in my quest for continuous learning. One invaluable piece of advice that was given to me when I first joined the workforce was to take ownership of my own career as no one will care more about your own career as much as you do. Like anyone else, I have had challenges along the way. I often have to remind myself that it is not always about getting to the next rank but what I have learned and how I have developed as an individual that matters. If we continue to enrich ourselves with wide experiences and new skills, and pursue work that interests us, everything else will fall in place. I find that HR professionals are most effective when they are able to build personal relationships with employees. This way, they are in a better position to provide the employee with sound advice and relevant support which will enable her to perform her personal best while fulfilling organisational needs at the same time. Creating an environment that promotes an equitable and inclusive culture where employees can reach their fullest potential is another area in which organisations and HR can support women who are aspiring towards senior management roles. One way is by educating managers and employees on unconscious bias and the importance of inclusive behaviour, a critical organisational asset. There are also a lot more which both organisations and HR can to do to promote diversity and fair practices in the workplace. For example, ensuring that fair policies are in place, creating opportunities to involve women in franchise-wide networks or initiatives, and offering a mentoring platform that is accessible to both mentors and mentees, among others. Support from senior management is particularly important simply because we are still operating in a male dominated leadership environment. Career progression for women is generally more difficult than men due to a number of factors, one of which is how women’s identity is perceived in a corporate environment. A different support system to help women goes a long way in pressing for progress in this space. Growing up, my parents always owned their own business; so from a young age I was working with them on weekends, after school and during school holidays. The choice to progress into a ‘business career’ was a logical evolution and to be honest, other careers was never even a consideration. While at university, I worked as a merchandiser for Gillette. It was here that I learned the importance of having a strategy that can be easily applied in practice. After graduation, I continued in field sales with Coca Cola, moving from sales positions to national account management. I often found myself in a boardroom of 10-12 people, being the only female. I made a career choice to strengthen my breadth of experience rather than accelerate a vertical climb and hence made several cross functional moves in my career, all of which provided great experience and understanding that support me as a leader today. Possibly one of the most critical challenges I faced as a rising female leader was to retain my personal style while being sensitive to feedback of others. Sometimes, I was labelled as being ‘aggressive’ for demonstrating the same qualities that might be described as ‘persistent’ or ‘driven’ if it were displayed by a man. At that time, this caused a much frustration, and even confusion. I quickly realised that my strength would come from retaining my personal integrity and style; not trying to be ‘one of the boys’ but equally not being subservient to them. I guess this level of self-confidence grew with age and experience. I see a significant opportunity for organisations (HR and functional leadership) to continue to focus on equal opportunity. We should be disciplined in exploring the full talent pool when opportunities arise and not look at only the loudest voices. I also see a significant opportunity to reshape the legacy approach to talent review that still exists in many organisations. Will a manager who believes that women should be at home, review an ambitious and confident professional female colleague with the same lens as they review a male? I believe many young women have been impacted by unconscious bias within the talent review process. Importantly, global organisations should have a dedicated focus on supporting and enabling women from countries and cultures where their career and their aspirations are not encouraged. I think that women need support to make it into senior roles, and all leaders need support when there. Support is needed on the journey to ensure talented women do not exclude themselves from opportunities, and to give them guidance and mentoring on how to navigate their career (and personal) aspirations. My personal experience is that the more senior you become, the less evidence there is of gender bias. Keystone Cable is my family business. My challenge has always surrounding the topic “how can I make a difference”. While at the back of my mind I knew that I would come back to the business one day, I was not keen to start in it because I felt in order to contribute to the company, it might be better if I gained a different perspective first. So I worked in government, Singapore Economic Development Board and at an MNC, Roche Pharmaceuticals before joining. Ironically, once I joined, it was not obvious from the start where I should focus my efforts on since I did not have the cable experience like my other colleagues did. I took the time to understand where the company might need attention at and what my strengths were. Eventually I landed in the two areas I thought were more under-served in an SME such as ours, Marketing & HR, and where because of my past experience, I felt I could make an impact in. With regards to support, I think that regardless of gender, it is important to understand where an employee’s strengths are and where the organisation could help strengthen those areas to prepare them for the next role. 2. deepen their networks in the organisation. To the second point, where possible, a mentor who is already in a senior management role and willing to coach the candidate would also be highly useful. Apart from that, I think women need support from their family no different from men to make it to senior management roles. The key is to have shared responsibilities at home so there isn’t a disproportionate weight on the women when it comes to achieving their career aspirations. I have been working in the retail industry since graduation. I started off as an intern in the merchandising division at Metro Department Store. I re-joined the company straight after graduation, but soon realised that I wanted to do more beyond merchandising. When an opportunity arose within the retail division team at real estate firm Jones Lang Wootton (now known as JLL), it marked the beginning of my leasing career and since then, I’ve never looked back. Over the course of my career, I took a couple of years away from retail leasing to set up two retail, manufacturing and distribution businesses in Indonesia, Singapore and Malaysia, but eventually sold off both ventures to investors. I started working at Marina Bay Sands in 2011 as the executive director of retail leasing. In my current role, I oversee all leasing activities and shops fit-out for The Shoppes at Marina Bay Sands. Prior to joining Marina Bay Sands, I worked in a retail asset management job which was based in Hong Kong. When it comes to how organisations and HR can support women aspiring towards senior management roles, I think it’s important for organisations to hire diversely across different genders and cultural make-up, and have structured plans to assist individuals in their career progressions. Companies should also have proper feedback channels that allow staff to talk directly to HR on issues big and small – sometimes perception can become a bigger stumbling block than the reality. I used to work in a company that has significantly more male then female in its senior ranks. There was a perceived glass ceiling for women leaders. Whether it was true or not, I never found out because I didn’t feel it was worthwhile to stay for long! If you ask me whether women need different support than men, I would say I don’t think it’s a gender issue. Why should women need different support (from men) if we want to make it to a senior position? They should have equal support. Our success/promotion shouldn’t be seen that we are given preferential treatment compared to men. My willingness to learn and develop my skills has enabled me to move ahead. I’ve always been someone who seeks out new opportunities and am happy to take on tasks outside my role in finance. For example, this year I’ve taken up leading the Inclusion & Diversity Council here at Mondelēz International, a working group that’s looking at how we can strengthen gender diversity in the vast Asia, Middle East and Africa (AMEA) region. This attitude has given me the confidence to pursue a career I am passionate about. In my career, I’ve had to move around a lot, and each move became more complex as I got married and then had children. Its especially tough when you consider how your partner’s career will be affected. I knew I needed to balance expectations, be open with my colleagues about my situation, and consider the impact on both my work and my family. It took trust and support from my husband and my company, as well as flexibility and understanding from me, but every move has been absolutely worth it! I think the key is flexibility. As we grow in our careers, our family commitments are usually growing at the same time. We want to deliver in the same way as our peers but we may have to do so in a different way. At Mondelēz International Singapore, we have an excellent flexible work policy and this has been a great benefit to me as I have quite a few calls with the US which I manage by ensuring I leave the office early enough to go home, have family time, and put my daughter to bed before getting on the calls. I know this flexibility has also helped a lot of my colleagues balance spending time with family and being successful at work. We’ve trialled and continue to explore many solutions to support our colleagues with family responsibilities around the world. I think women need the same support as men, but I’m not sure we’re there yet. Looking across the industry, until we have more senior women in leadership, most of our role models and sponsors will be men which means they’ll have to consciously ensure they’re being inclusive. Since senior women are the minority in our industry, I’m aspiring to do my share and be more visible to fill that gap. I’m passionate about this issue and feel our Inclusion & Diversity Council can effect real progress in lifting the careers of women. Giswold is a passionate advocate for inclusion & diversity (I&D), leading the I&D Council in AMEA. The council is charged with finding enablers to build a more diverse workforce in the region. She also co-leads the Women Leaders programme for Mondelēz International’s global finance function. This programme supports the function in increasing gender diversity within leadership. I am an electrical and electronic engineer by training. After my studies at Imperial College in London, I did my Masters at MIT in Boston. My career formation years was with McKinsey where I spent 8 years and became an associate partner. Thereafter, I took on a stint as director of strategy at Singtel and more recently became chief of expansion at Ninja Van. I am also a mother of 2 young children – a 7 year old boy and 5 year old girl. My biggest challenges to date have been balancing my dual roles as a mother to my kids and as a business leader – how to constantly ensure that I remain an effective manager to my teams and a valuable contributor to my company while carving out quality time for my children. Along the way, I have met a number of mentors who have given me a lot of useful advice and help as I navigate this conundrum. Believe it or not, the best advice have come more often than not from men based on their own experience (they are fathers too!) as well as observing how other women have made it work for them. To me the key thing is to be very transparent with everyone on your priorities from the get-go, and make it clear how different people can provide you with the necessary support you need, on both the professional and personal fronts. For example, don’t be embarrassed to reschedule a call if it coincides with a school excursion. It will be worse if you take a conference call while chasing toddlers in a zoo! Personally, the help from my very supportive husband as well as my mother in looking after my children especially when I need to travel has been immensely valuable. I can travel with ease of mind knowing that they are around. The biggest mistake one can make is to attempt to handle all your career and family commitments by yourself because in reality it is not sustainable. You might end up being burnt out and ineffective on all fronts. To be honest, it is not so easy to navigate on one’s own, especially in big companies. Organisations should definitely consider pairing some of these aspiring women with current senior management to serve as their mentor(s) and provide them with advice throughout their career. Hearing the experience of someone who has been through and done that definitely helps puts in perspective what is required to get to the desired state. At Ninja Van, this is definitely one of our top priorities for both men and women alike. Also, I have seen a lot of talented women falling out of the corporate track when they start to have kids. Some of them choose this path as they want to dedicate time to their children. Others simply find it too brutal to return to work right after maternity leave. I think that more flexible policies such as allowing (unpaid) extended leave during certain life events like when having newborns without this having a negative impact on one’s career progression can go a long way to help stem this trend. At Ninja Van, we make special efforts to cater to such requests as we believe in nurturing the long-term potential of our talents. I am a firm believer that women should be able to hold their own vis-a-vis men if they want to be respected in her role / chosen field, and not expect affirmative treatment or things delivered to them on a silver platter. So I don’t view this as special support which needs to be accorded to women. Furthermore I believe that, if for example women are provided flexibility of extended unpaid leave to spend time with their babies, men should also be offered the same. Where the change needs to take place is more broadly at corporate culture level. Often performance models or leadership styles deemed as successful in management roles create barriers to women advancement. Tackling these issues require broad programmes at company-wide levels as opposed to simple focus on management roles. I have been fortunate enough to be presented with opportunities throughout my work life which I have taken. I started off at Takeda as HR manager in Brazil and moved up to director level before taking an opportunity overseas in Zurich and then on to Singapore. To be able to do this, I had to deliver a solid performance while balancing both my professional and personal life. I have two children and striking that balance is not always easy, but I have a supportive family and I always looked for the flexibility in the job. It can be challenging for any parent balancing work and personal life, so it is important that you find an employer with strong values who can help you manage and that’s what I have found at Takeda. For me, flexible working is incredibly important and helps both women and men returning after an extended leave of absence. Not every woman has the same need. It is important to support individual needs and that is where flexibility plays a vital role. Just like the way a patient is diagnosed, organisations should not focus on a ‘one size fits all’ approach. At Takeda, we customise individual employee career roadmaps based on their skills and interests and as a result, it means women can progress through the company. We empower our people to shine, both men and women and as a result, we have 50% of women in leadership positions across our Emerging Markets business.